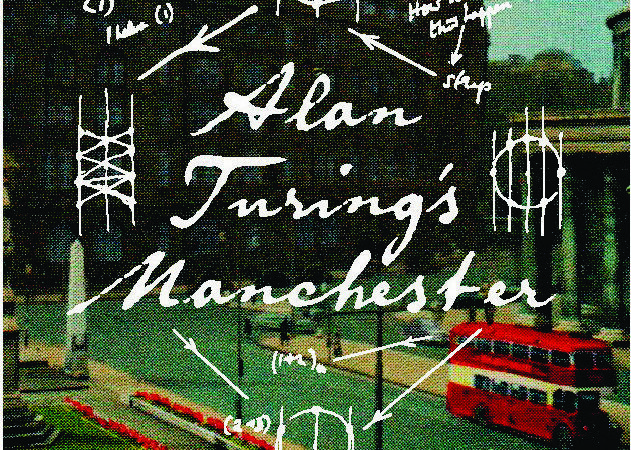 On the face of it, Manchester’s claims to Alan Turing are slender. Born in London and educated in Cambridge, it was only in what were the final years of his life that Turing walked its streets and ran long distances through its suburbs. 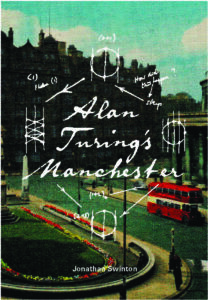 If Bletchley Park was where he found the proof of himself, at the end it was Manchester who refuted the acclaimed mathematician, computer scientist and logician, prescribing oestrogen for an act that was neither illness nor indecency; setting him at odds, first with his own nature, and then with life itself. So much to answer for. The plaques, Alan Turing Way, the bench; they’re as much an atonement for the cancelling out of his sexuality as a celebration of his post-Bletchley achievements, his association with bringing up baby. And, of course, the test he gave his name to – his proposal that consciousness could be inferred if a computer’s responses were indistinguishable from those of a human being. It’s correspondingly apt, perhaps, that Jonathan Swinton’s information-rich and self-described ‘200 page offset lithography trade paperback with over 100 full colour illustrations’, clustered around what was then the Victoria University of Manchester, is relatively incurious about their inner lives. Still, much can be gleaned from the apparently incidental, of which there is a wealth. Turing, it turns out, could think in base 32. Given such formidable processing capacity, then, it’s not a terrific surprise to discover that he bestowed shrift in the shortest of measures on those who he calculated were “not tuned into a Turing wavelength”; Cicely Popplewell, who shared an office with him, felt that he behaved as though failing to recognise her right to exist. So far, so Sherlock – a correspondence between life and art only reinforced by the tale of his playing violin in the face of his arresting officers. As it is with character, so it goes with social history. 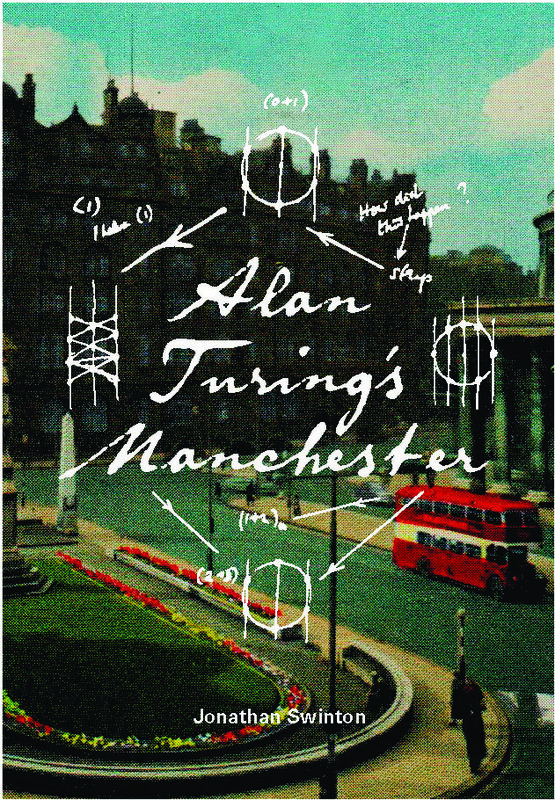 Turing’s initial impression of Manchester, tellingly, incorporated his disappointment at ‘the low standard of male physique’ on offer. But for the most, in prose at least, the past century is delineated in fewer than three dimensions. It may be recognisable as a foreign country, but its customs remain a little opaque. Where the book really comes into its own are its figures and illustrations. They are exceptionally well-chosen in that almost every plate – and the book is generously illustrated – illuminates the text, lending it a depth that complements its length and breadth. It’s from the words and the pictures that Turing and his Manchester times make themselves known, that intelligence of both emerges. In the end, Swinton’s handsome volume passes the Turing Test.